In his 2009 book Harlem vs. Columbia University: Black Student Power in the late 1960s, Professor of History and African American Studies Stefan Bradley noted that on Aug. 23, 1968–three months after they had requested on May 22, 1968 that New York City police be used to clear Columbia University’s campus of protesting students for a second time–“Grayson Kirk and David Truman stepped down as the president and vice president” of Columbia University; and “Andrew Cordier, from the School of International Affairs [SIPA]” of Columbia University “took over the reins of the university as acting president.” Cordier then spent two years as Columbia University’s fifteenth president until September 1970, before spending an additional two years as Dean of Columbia’s School of International Affairs [SIPA] prior to his 1975 death–from cirrhosis of the liver–at the age of 74. “…Several sources, including Madeleine Kalb’s study based on declassified diplomatic cable traffic, document the extent to which Cordier continually briefed and was briefed by U.S. diplomats and collaborated with them on Congo policy….“…Cordier’s 15 September  letter to [Manchester College in Indiana Emeritus Professor V.F.] 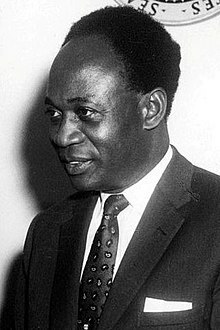 Schwalm reveals that he had advance notice of Kasavubu’s intent to dismiss Lumumba, and that he welcomed the move…Cordier notes he met four times with Kasavubu…to discuss the firing of Lumumba… When Kasavubu announced his dismissal of Lumumba from office on the radio on Monday, 5 September, Cordier…made his `two most important decisions:’ to send U.N. troops to close the airport and to seize the radio station. “These…actions…primarily hurt Lumumba because only Kasavubu enjoyed access to radio facilities in the neighboring state of Congo Brazzaville. 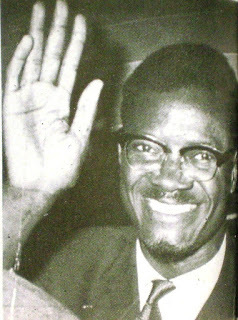 Similarly, Kasavubu’s allies were allowed to use the ostensibly closed airport to travel into the Congolese interior to mobilize support for the president while Lumumba’s supporters were grounded….Near the end of his three-week stay in early September, Cordier …authorized the United Nations to offer food and pay to the Congolese Army… This action…allowed Mobutu — a one-time Lumumba aide who had been appointed chief-of-staff of the army by Kasavubu just days earlier — to win credit for paying the soldiers their past-due salaries…and to pave the way for his coup attempt a few days later…. The combination of U.N. and U.S. support was pivotal for Mobutu’s subsequent seizure of power. “I am writing these words not knowing whether they will reach you, when they will reach you, and whether I shall still be alive when you read them…What we wished for our country, its right to an honorable life, to unstained dignity, to independence without restrictions, was never desired by the Belgian imperialists and the Western allies, who found direct and indirect support, both deliberate and unintentional,amongst certain high officials of the United Nations, that organization in which we placed all our trust when we called on its assistance. Neither brutal assaults, nor cruel mistreatment, nor torture have ever led me to beg for mercy, for I prefer to die with my head held high, unshakable faith, and the greatest confidence in the destiny of my country rather than live in slavery and contempt for sacred principles.History will one day have its say, but it will not be the history that is taught in Brussels, Paris, Washington or in the United Nations, but the history which will be taught in the countries freed from imperialism and its puppets… Love live the Congo! Long live Africa! Listen to this historical protest folk song from 2017 about role of Belgian and U.S. governments, UN and former Columbia University administration officials in eliminating democratically elected Congolese PM Patrice Lumumba, between July 1960 and January 1961.